Finally the whole gang together! 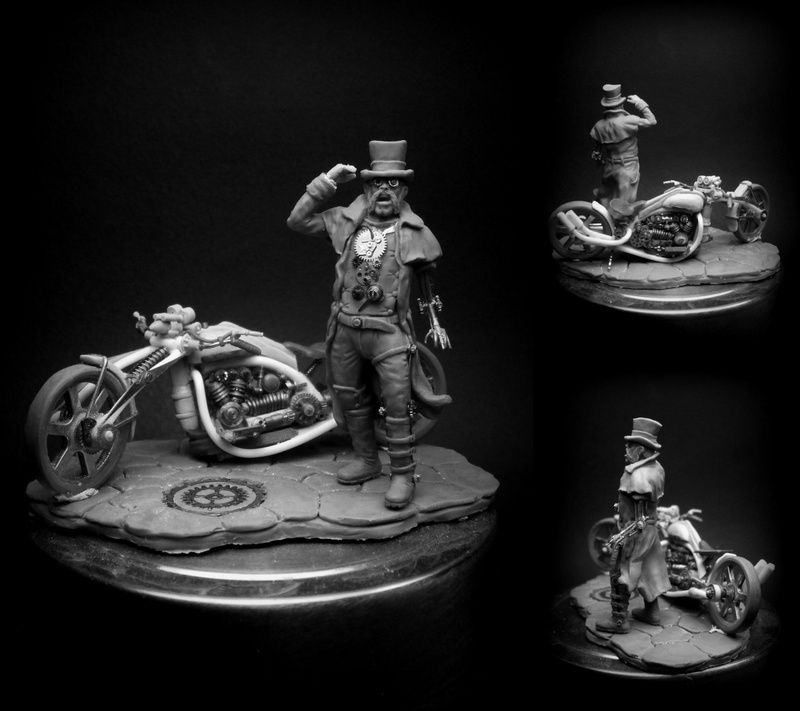 All 3 Steampunk figures together, one concept called "The Steampunk League"
All figures sculpted mainly with Beesputty and few green stuff, 54mm scale. For vehicles used various stuff, such like plastic, metal, wood materials, old watches parts and green stuff. The project is now live on Indiegogo, trying to bring it to life. 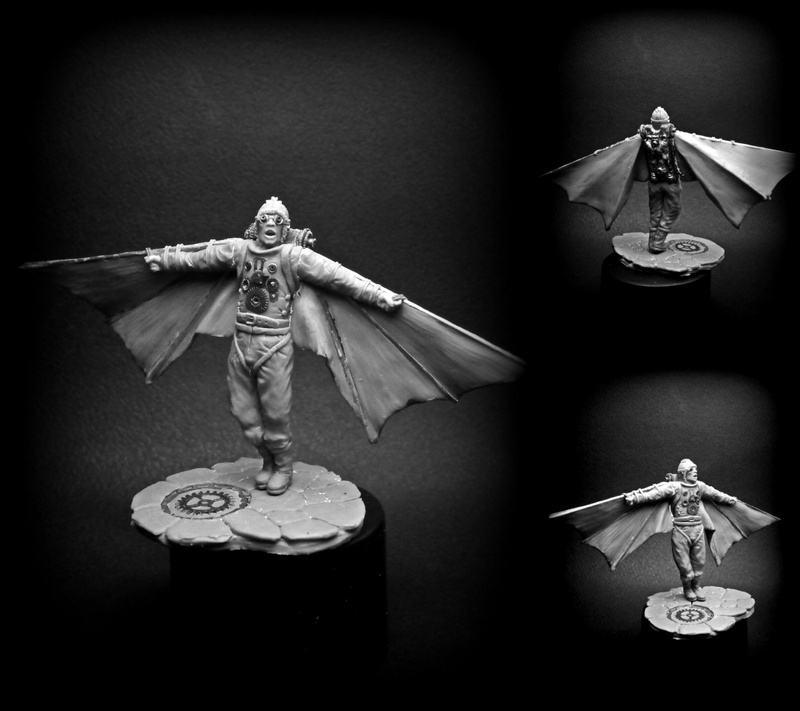 All figs will cast in high quality resin kit and for that reason i make a campaign. Thanks for watching and rate. 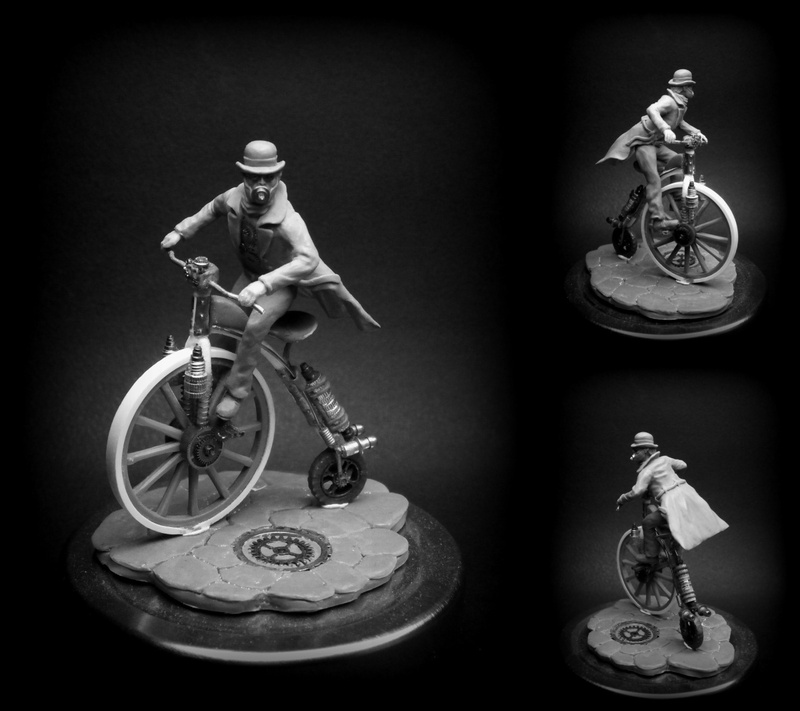 The steampunk master…guys grab yourself some of stavs miniatures at. 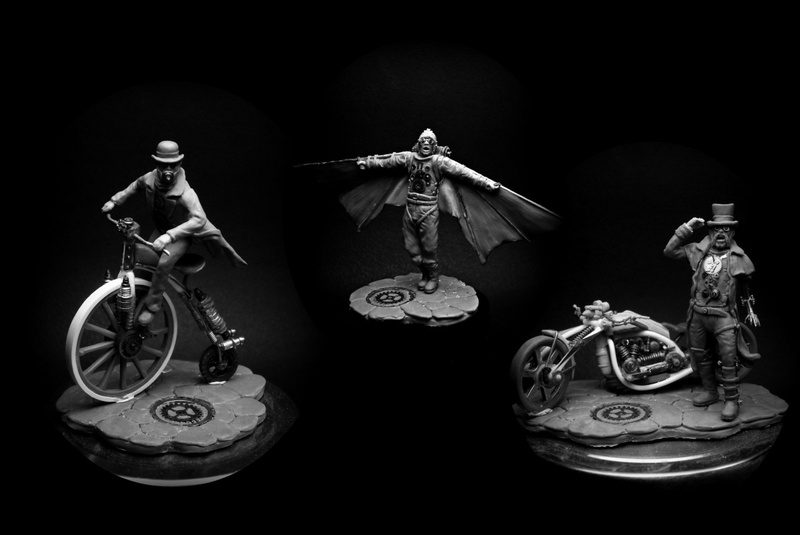 “Miniatures-tale” they are a painter collectors dream.